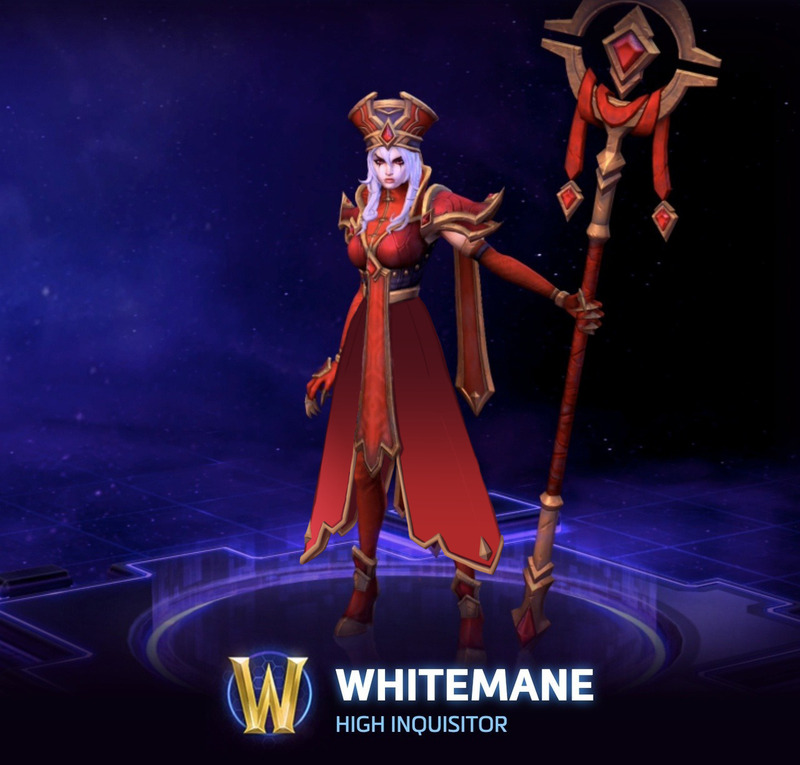 With Sally Whitemane’s High Inquisitor skin, I didn’t want to change much, as her design has some really cool elements and style. Rather, I chose to turn her leotard thing into a coat, keeping the style of her hanging banners. After all, the idea of an inquisitor is much more closely associated with flowing robes and coats, and a leotard isn’t usually considered appropriate attire for religious leaders. Such a small change in the overall design, and suddenly she looks like a religious leader! I would love to see a skin similar to this one in-game, instead of what we ended up getting. 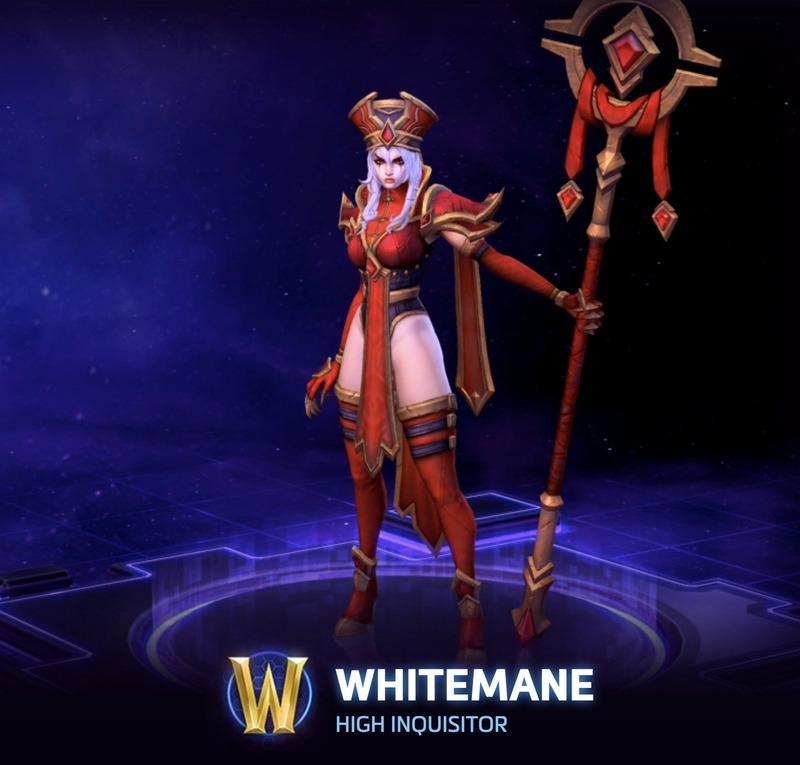 This isn’t the fault of the redesign, but covering her legs really highlights how the original artist considered Whitemane’s skin to be a color in her palette; without it, she just has red and gold, basically (the black is barely present). The original design just keeps disappointing, really. One small thing, and granted, it’s hard to see in the picture, but I’d get rid of her ridiculous stiletto heels. I think overall, this redesign really showcases how inadequate the original is in its intent. Thank you so much for the submission!